Rubbing elbows with old racers, drooling over cool prototypes and yes, we like Ike. We made the drive to Dallas today and stormed the Convention Center with cameras blazing. Attendance at the show was light for this first day, but the overcast skies and occasional drizzle probably kept many riders away. But for us, the first day of the show was pretty darn busy. 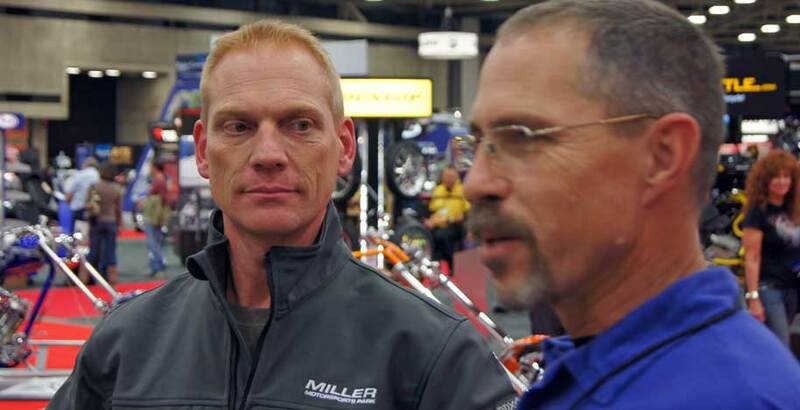 We got to meet Superbike legend, Scott Russell, talked trials with the Smage brothers and got the scoop on several new motorcycles that are new to the American market. and AMA Hall of Famer, Scott Russell.